Professor Richard Larkins AO has been named as the seventh Chancellor of La Trobe University. An endocrinologist who obtained a PhD from the University of London, Professor Larkins has previously served as Vice-Chancellor of Monash University and Dean of Medicine at the University of Melbourne. During his career, he has served as Chair of Universities Australia and the National Health and Medical Research Council. He was also President of the Royal Australasian College of Physicians and a member of the Prime Minister’s Science, Engineering and Innovation Council. In 2002 Professor Larkins was appointed an Officer of the Order of Australia for his service to medicine and health; as an advocate for increased investment in research, as a contributor to health policy reform, and as an initiator of innovative medical programs and the provision of training opportunities for medical officers in the Oceania region. In the same year he was awarded the University of Melbourne Sir William Upjohn Medal for distinguished services to medicine in Australia. The University currently hosts more than 8,000 international students from 110 countries, and approximately 2,600 international students complete a degree at La Trobe each year. Our researchers work in some of the world’s best facilities. 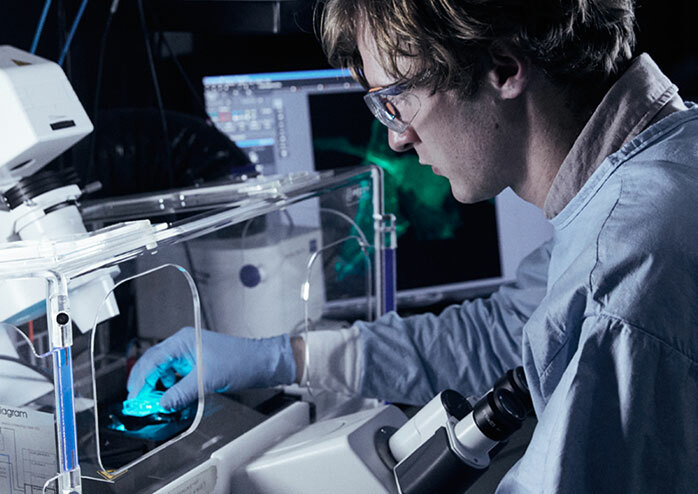 La Trobe has invested more than A$500 million in new world-class centres of learning and research, including the A$288 million Centre for Agribioscience (AgriBio), and the A$100 million La Trobe Institute for Molecular Science (LIMS). The University offers a range of undergraduate and postgraduate degrees with a focus on high quality learning, teaching and student experience, strong employment outcomes, and innovative research. For more details visit our courses page. La Trobe has seven campuses across Victoria and New South Wales. The largest campus is located in Bundoora, just 14km from the centre of Melbourne; consistently ranked as the world’s most liveable city. La Trobe is an international university, with strong links to a number of overseas partner institutions. All local and international students are encouraged to broaden their experience by studying overseas with one of our international exchange partners. La Trobe offers a range of scholarships for international students for both coursework and research programs. For more details about scholarships offered at La Trobe, visit our scholarships page. La Trobe is globally renowned for research and academic prowess, but we are also proud to do things a little differently. We focus on producing well-rounded, employable graduates that employers want to hire, and that the world needs to build a better future. La Trobe graduates are not just clever, they’re all kinds of clever. *QS World University Rankings 2018. La Trobe is ranked in the top 1.4 per cent of universities worldwide (QS World University Rankings 2017). La Trobe has invested over $500 million in state-of-the-art centres for learning and research. La Trobe has industry placements across every school. Appoint and monitor the performance of the Vice-Chancellor. Approve the mission and strategic direction, annual budget and business plan. Oversee and review management and performance. Establish policy consistent with legal requirements and community expectations. Oversee and monitor academic activity. Approve significant University commercial activities.